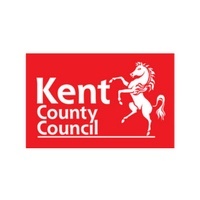 Kent County Council is one of the largest councils in the UK and provides more than 300 services for around 1.6 million residents. As part of an ongoing drive for efficiencies and effectiveness, including responding to the Government’s latest directives regarding cost savings, the council restructured a number of its business areas, including the Highways Department. This department in particular had seen an exceptional level of change during the preceding 12-18 months and was at a point where it needed to sensitively and fairly resource a number of strategically senior level positions. This included Head of Highways Operation, Head of Highways Transport, Resurfacing Manager and Drainage Manager. Aware of the timescales for the project and need for an accessible and cost effective solution, we proposed using the Miramar portfolio from Criterion’s leading-edge Odyssey range of off-the-shelf assessment and development centre exercises. Designed for senior/executive level roles, and a strong track record of use within high-level public sector roles, Miramar presented the right range of activities to fairly assess the Highways Departments top-level managerial posts. The assessment centres were delivered by a team of our highly experienced Consultants, who provided an objective and independent assessment of each candidate’s performance in relation to the competencies. In addition, the wider rolling assessment programme for these roles, which also included a separate panel interview, meant the Observers took a more flexible approach to providing the selection panel with feedback and regular updates. Following on from the assessment centre the selection panel was provided with a comprehensive report for each candidate, identifying strength and development areas in relation to each competency and activity. Telephone support and further debriefing was also made available to the Chair of the selection board to explore connections between performance at the assessment centre and during the interview.